JOHANNESBURG – WHILE the Absa Premiership season pans out to be a two-horse race between holders Mamelodi Sundowns and Orlando Pirates for the second successive season, SuperSport United are the dark horses. SuperSport are sixth with a game in hand and might end the week on third in the standings . Their next encounter is against surprise package, Polokwane City, who sits a lofty fifth in the standings. The sides clash at the Lucas Moripe Stadium in Atteredgeville, Pretoria on Saturday evening. 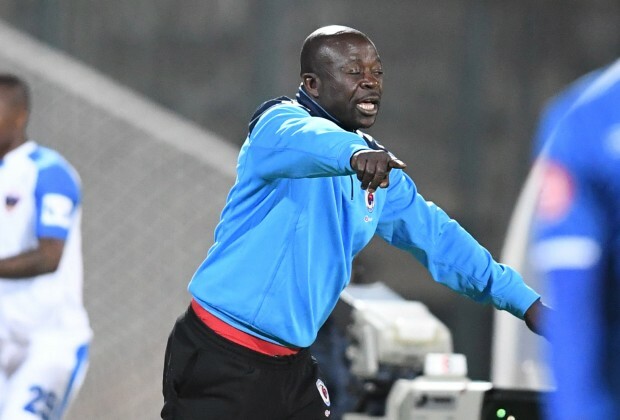 SuperSport fans believe the fact that the team is not mentioned as contenders would work in favour of coach Kaitano Tembo’s men. “Fans and pundits are mentioning Sundowns and Pirates and to a lesser extent Bidvest Wits and Cape Town City. This will definitely work well for Tembo because it takes away pressure from his side,” said Themba Majola. Wits fan, Lebogang Mmutle, also believes with his side’s slump in recent weeks, SuperSport United can mount a challenge for the title. Wits are third with 41 points, three less than joint-leaders Sundowns and Pirates. The defending champions have a game in hand. The campaign resumes on Friday when relegation-haunted Chippa United host Wits at the Nelson Mandela Bay Stadium in Port Elizabeth. On Saturday, Black Leopards and Kaizer Chiefs, will both be looking to bounce back from weekend defeats when they play at the Thohoyandou Stadium. Highlands Park welcome bottom-placed Maritzburg United at Makhulong Stadium in Tembisa. Pirates host Free State Stars at the Orlando Stadium. The action rounds up with crisis side Bloemfontein Celtic hosting Cape Town City at Dr Molemela Stadium. Amazulu and Golden Arrows will contest the Durban derby at the Sugar Ray Xulu Stadium. Golden Arrows Vs AmaZulu FC, Sugar Ray Xulu Stadium (15:00Hrs).